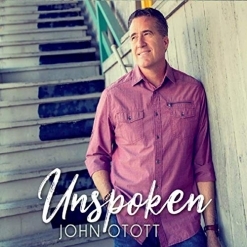 Unspoken is the fifth album from pianist/composer John Otott. Produced by Will Ackerman, Tom Eaton and Otott, the album was recorded at Ackerman’s Imaginary Road Studios in Vermont and The Village Recorder in Los Angeles, CA. Otott is a lifelong musician with a varied background that includes rock bands that played in Hollywood hotspots, a jazz/rock band that played with other artists, and writing music for television. 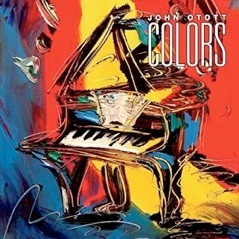 Blending that experience with inspiration from events and emotions in his own life gives Otott a unique musical voice that is sometimes vulnerable, sometimes confident, and always colorful and very expressive. In the liner notes for the album, Otott lists his inspirations as: “Kindness, Joy, Devotion and Hope. Sorrow, Despair, Regret and Remorse. Laughter and Gratitude. Love … all are here. All Are Unspoken.” In addition to John Otott at the piano and bass guitar, the stellar line-up of musicians who appear on many Ackerman productions includes Charlie Bisharat (violin), Eugene Friesen (cello), Jeff Oster (flugelhorn and trumpet), Jeff Haynes (percussion) and Will Ackerman (guitar). Unspoken begins with “A Beautiful Night,” a quartet for piano, violin, cello and flugelhorn. Smooth and sensuous, it starts with a peaceful solo piano intro before the other three instruments enter. In some passages of the piece, the piano is in the upper registers of the piano, suggesting twinkling stars while the lower strings of the cello suggest a deepening darkness. It’s a great opener that sets the relaxed tone of the album. “Sunrise In Avalon” is equally relaxed while conveying the warmth and promise of a new day. Otott plays both piano and bass guitar on this piece, which also includes cello, flugelhorn and percussion. At about the mid-point of the piece, the music swells as the colors of the dawn sky intensify - I really like this one! “Pieces of Eight” is a poignant and elegant duet for piano and violin, and Charlie Bisharat really works his magic on this one! “Soliloquy” is also a favorite. It begins as a soulful piano solo before becoming much brighter and more upbeat with violin, cello, guitar, bass guitar and percussion. The darker piano solo returns, finishing with a haunting string accompaniment. 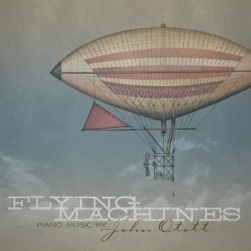 “Emerald Bay” first appeared as a piano solo on Otott’s Flying Machines (2011). This time, it’s a beautiful duet for piano and flugelhorn. It was a favorite on the first album and is on this one as well. The last two tracks are duets with Charlie Bisharat. “As Now, As Then” is deeply emotional, expressing feelings of longing and sadness - another favorite!. “Meraki” is darker, more intense and stunningly beautiful. Both artists really soar on this one and make the five-year wait between albums well worth it! Unspoken is excellent from the first note to the last! It is available from Amazon, iTunes and CD Baby.